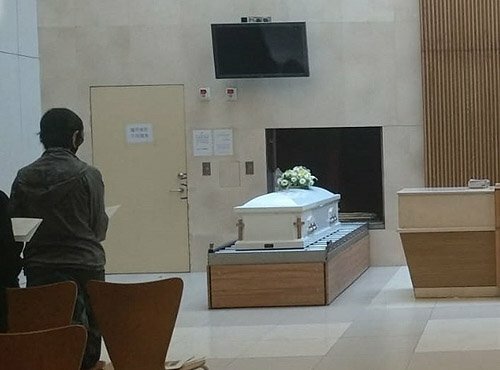 Yammie Lam’s (藍潔瑛) family held a simple cremation service for the 55-year-old actress, who was found dead in her home on November 3. Hundreds attended her memorial service last week to mourn her passing. Today, Yammie’s older sister, family, and close friends went to collect her remaining items and then escorted Yammie on her last journey at the cremation center. With Yammie’s beautiful portrait and fresh flowers, the group traveled to the cremation center and was welcomed with a sign that said “Yammie is going back to Heaven”. Pastor Chan Zi Ming (陳志明) held the ceremony and it lasted for five minutes before the cremation began. 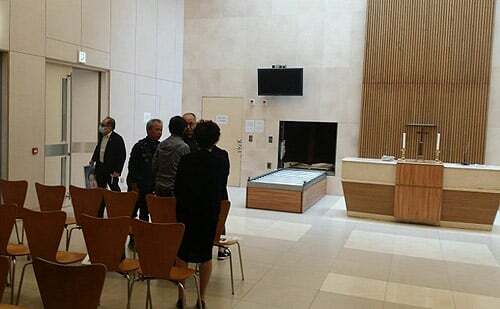 Yammie’s family and close friends bowed and bid her a final good bye. 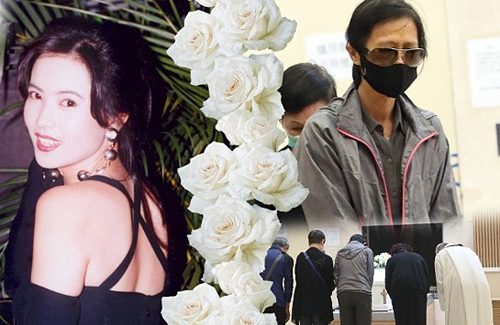 Yammie’s sister thanked the media for their care and attention and said that Yammie’s ashes will be settled at St. Raphael’s Catholic Cemetery in Cheung Sha Wan in the Kowloon district. Hopefully, Yammie can begin her new journey and finally be at peace.